Fall weather has taken residence in Washington. While the nature is gorgeous, with leaves changing colors and bidding their farewell to the warm days of Summer, while gently gliding off the tress in their last dance, it has been getting cold enough to want to stay inside, curl up on a couch with a warm bowl of soup in my hands and enjoy my family. Why soups? They are a perfect cross between tea (all liquid) and a main course (not enough liquid). They are light, warming, satisfying and nourishing all at the same time. I am a born soup lover! I can make soups from anything. I can get super sophisticated or whip up a pot of liquid goodness in less than 10 minutes. I can say without bragging that I can make something to satisfy even the most finicky palette. 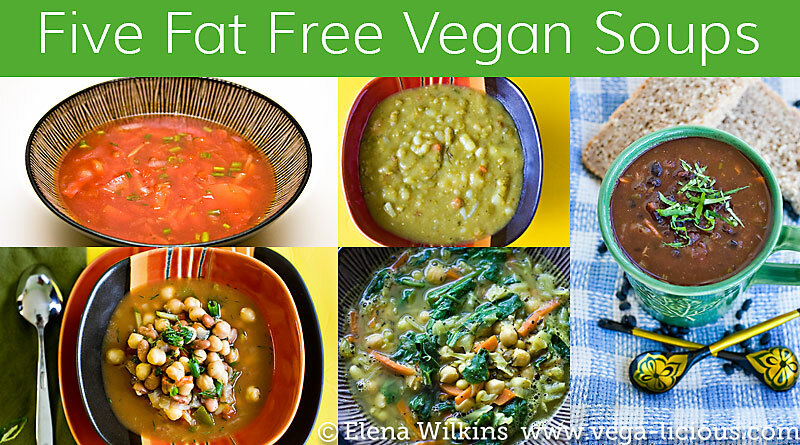 Today I want to share five of my favorite, delicious fat free vegan soup recipes with you. 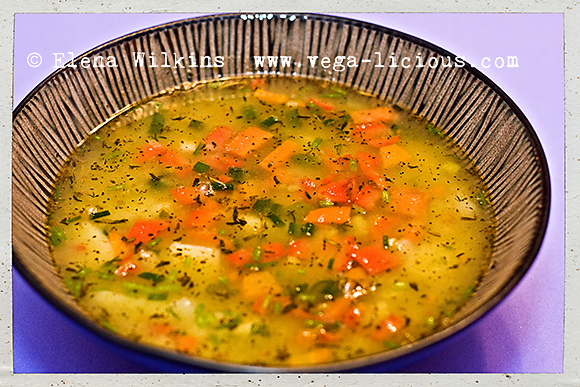 Let’s create a Vegalicious Soup Army and enjoy delicious soups together this cold season. I will start with my husband’s favorites. This delicious, soul warming chili will be the talk at your family’s dinner, especially if you love beans. Vegan chili at its best. Equally delicious, another favorite in our family, which gets better with time (I usually make enough to last us a couple of days). This Split Pea soup recipe will become one of your favorites, because it is loaded with so much veggie goodness. 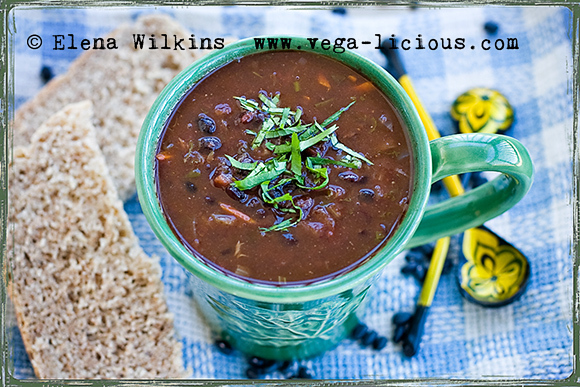 Inspired by Whole Foods’ black bean soup, this delightful and fat free, Black Bean Soup is not only satisfying, it will also last for days refrigerated and can even be frozen for convenience to be enjoyed later. Some call it borscht, for some unknown reasons. Some think that it must be made with beats to be called that. Neither of these is correct. Those of us who grew up in the land where it was one of the national dishes call it borsch–one of my favorite childhood recipes; it is still at the top of my list. I can eat it three times a day and not get tired of it. The taste is next to none. 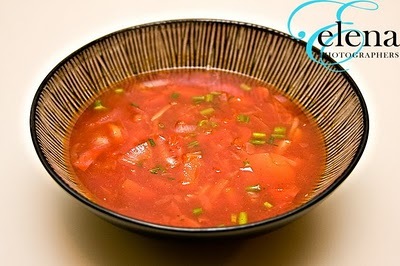 Borsch is a soup of its own category. It is easy to make, and is even easier to enjoy. It is perfect when eaten with fat free, homemade whole wheat bread. Beans never tasted this good! 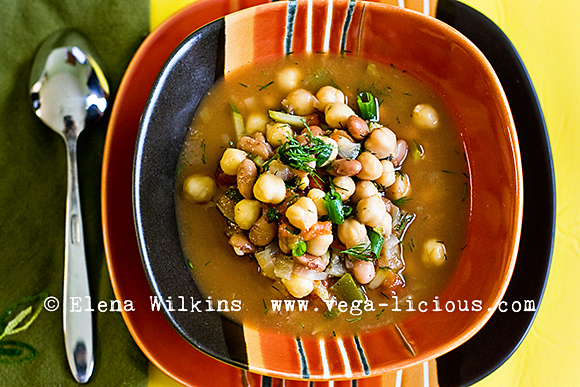 Make a pot of chickpea curry, kick back by a fireplace, and let the goodness of plant foods flood your body. 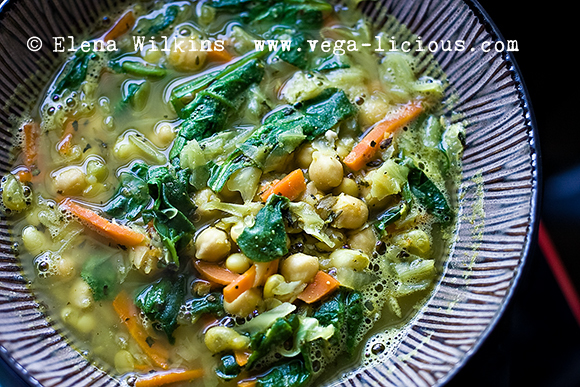 This ebook is filled with 27 mouthwatering plant based soup recipes. Most are fat free. All are totally slurpable. 3 bonus bread recipes are included. Normally, retail price is $5.99. This weekend only, you can get it for only $3.99! What are your favorite healthy soup recipes? Let me know in the comment section, and make sure to attach an image, if you have one.